All personnel from active duty, Reserve, Guard, Defense Department civilians and contractors considering traveling to Mexico need to be aware of the following changes presented in the United States Army North Force Protection Directive 19-001. 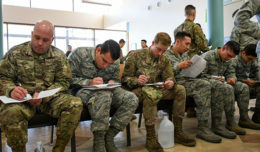 The USARNORTH FP Directive 19-001 enacted the Official Priority Information 2019-008, which establishes the Mexico Travel guidance. Personnel will follow the requirements for all travel, official or otherwise. Be aware that all other DOD Travel Guidance cited in this directive and the Foreign Clearance Guidance take precedence over the following changes. Here are some key take-aways from OPI 2019-008. All of the personnel listed who are planning travel to Mexico, will need to notify their local Counterintelligence Representatives of the dates and specific locations they intend for their travel. When entering Mexico, for any reason, all personnel should have a valid U.S. passport. For unofficial travel, such as leave, pass or liberty, personnel will need to be aware of restricted and nonrestricted states. Personnel may not cross a restricted state to get to an unrestricted state. The Foreign Clearance Guidance has the most up to date information on restricted states. These guidelines still apply for individuals planning travel to a resort or tourist area. There are some exemptions to the restricted state travel. If an individual needs to conduct official State Department business for themselves or a family member, travel is limited to day time only, with no overnight stays in the restricted states. This will require chain of command O-6, or civilian equivalent, approval. The approval authority must ensure the individual has a communication plan for their travel. 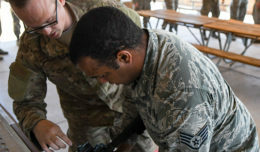 Emergency travel to restricted states will require Aircraft and Personnel Automated Clearance System, or APACS, for all active duty and reserve components currently on Title 10 orders. Many states within Mexico have entered either level 3, “Reconsider Travel”, or level 4, “Do Not Travel,” advisory risks. Following this directive will be key to maintaining the safety of our Airmen. 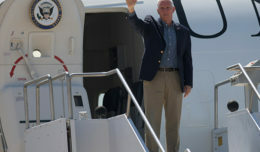 For advisory updates, refer to the Department of State Travel Advisory page at https://travel.state.gov/content/travel/en/traveladvisories/traveladvisories.html/.